This page is dedicated to discussion and sources of information concerning The Second Amendment to the Constitution of the United States of America as ratified by the states, December 15, 1791, taken from what is known as the "Bill of Rights." Check back often, as this page will be updated frequently. Staunch Defenders Of Our Second Amendment Rights, & Several Excellent Sources For Up To Date Second Amendment Issues! Gun Owners of America is perhaps the most consistent no nonesense pro Second Amendment lobby we have. GOA, in addition to sponsering an E-Mail Alert Network where you may sign up and be notified by e-mail as to when you can make a critical difference on important Second Amendment issues, also has the GOA Legislative Action Center, where they make it very easy to look up your elected officials simply by typing in your zip-code into their search feature. Strongly recommended as an easy and efficient tool to use when alerting YOUR elected officials of your views regarding important Second Amendment issues. The Virginia Citizens Defense League (VCDL) was founded in October 1994 as the Northern Virginia Citizens Defense League (NVCDL). The group experienced enormous growth in membership statewide and was incorporated as VCDL in May of 1998. VCDL is a non-profit, non-partisan, grassroots organization dedicated to advancing the fundamental human right of all Virginians to keep and bear arms as guaranteed by the Second Amendment to the United States Constitution and Article I Section 13 of the Constitution of the Commonwealth of Virginia. They were formed in January of 2009 to combat Iowa’s abusive “may issue” permit system wherein the county sheriff had the arbitrary power to decide who could carry a gun for self-defense and who could not. Iowa Gun Owners - Iowa's Only No-Compromise Gun Lobby. 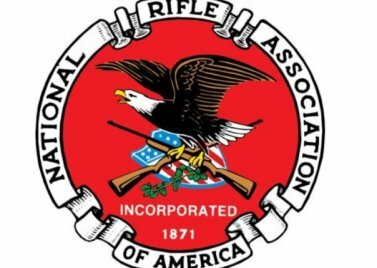 The National Rifle Association of America has as one of it's branches the Institute for Legislative Action. This is an informative site concerning current Second Amendment related issues. Take action to defend your gun rights. VCDL has buses for Lobby Day! ACTION ITEM: Alexandria PD targeting gun owners! Gun Owners Finally Win on Arming Pilots! Year-long battle will result in safer travel! Ballistic Fingerprinting - Larry Pratt's AJC article debunks the hype of balistic fingerprinting. "Those who expect to reap the blessings of freedom, must, like men, undergo the fatigues of supporting it." Thomas Paine, The American Crisis, Chapter IV, Sept. 12, 1777. Whole Book. "Guard with jealous attention the public liberty. Suspect every one who approaches that jewel. Unfortunately, nothing will preserve it but downright force. Whenever you give up that force, you are ruined." Patrick Henry, 3 Elliot, Debates at 45 (Virginia Convention, June 5, 1788). "False is the idea of utility that sacrifices a thousand real advantages for one imaginary or trifling inconvenience; that would take fire from men because it burns, and water because one may drown in it; that has no remedy for evils, except destruction. "The laws that forbid the carrying of arms are laws of such a nature. They disarm only those who are neither inclined nor determined to commit crimes....Such laws make things worse for the assaulted and better for the assailants; they serve rather to encourage than to prevent homicides, for an unarmed man may be attacked with greater confidence than an armed man. Thomas Jefferson's "Commonplace Book," 1774-1776, quoting 18th century criminologist Cesare Beccaria in Chapter 40 of "On Crimes and Punishment", 1764. Chapter. Whole Book. NRA - The following organizations have lent monetary, grassroots or some other type of direct support to anti-gun organizations. In many instances, these organizations lent their name in support of specific campaigns to pass anti-gun legislation such as the March 1995 HCI "Campaign to Protect Sane Gun Laws." Many of these organizations were listed as "Campaign Partners," for having pledged to fight any efforts to repeal the Brady Act and the Clinton "assault weapons" ban. All have officially endorsed anti-gun positions. Interesting list of folks! Click the link below to go to an article Mike Bellm wrote concerning Gun Control. Mike has some rather clear thoughts and analysis to offer concerning the premise and motivations of the Gun Control movement and agenda. Below is a link to a very good article, titled "Crime, Deterrence, and Right-to-Carry Concealed Handguns,"